Date: 10 January 2014. 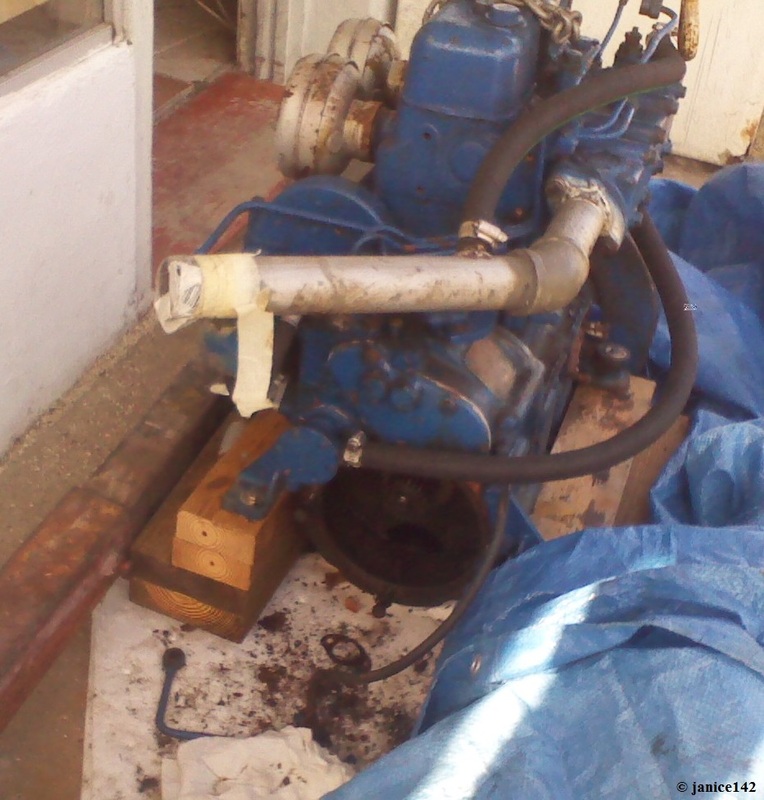 Progress on Engine. 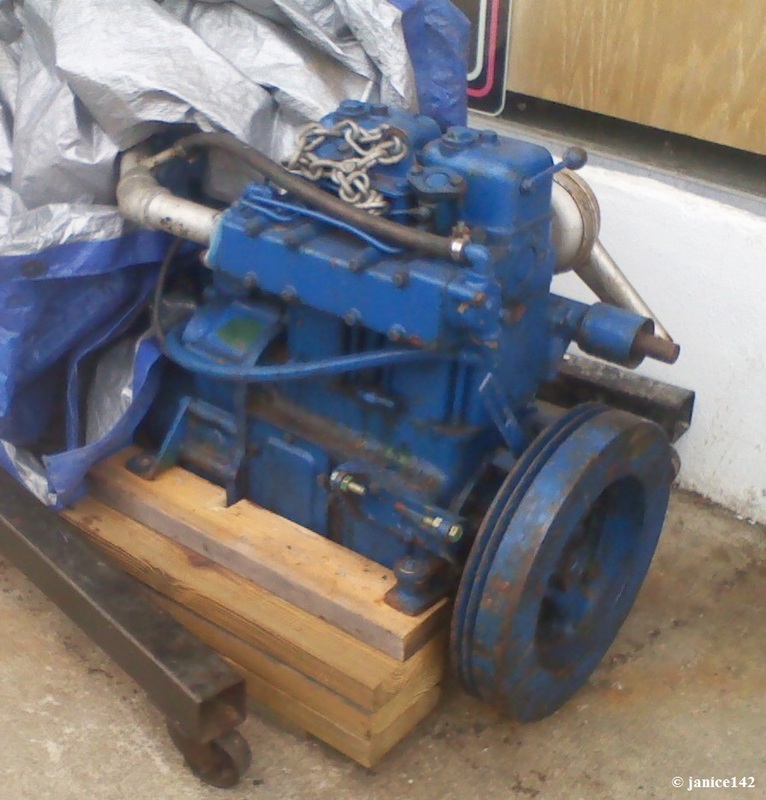 It seems like so very long ago that a friend offered to sell me his spare diesel. Bob is the sort of boat owner who believes if you need one of an item, two is better. Having a rebuild kit is also a good idea and generally speaking that's the way Bob's sailboat Maverick is set up. It's a good way to go, especially when contemplating departing the United States. There are no spare parts mid-Atlantic, and yes, Maverick has *crossed the pond. *Crossed the pond: in boat talk, means crossing the Atlantic Ocean. 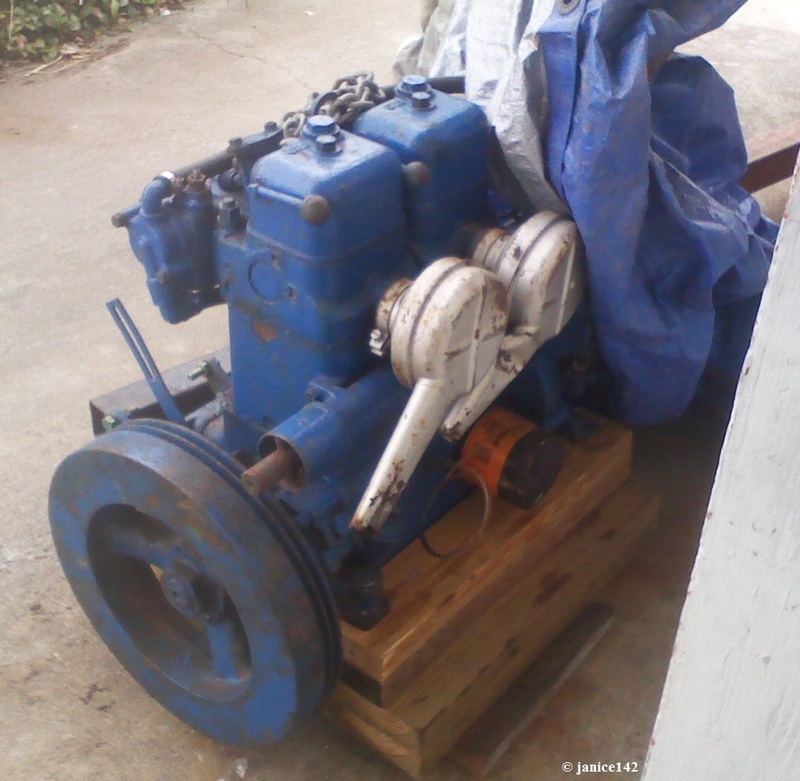 Thus, when an opportunity came for Bob to buy a spare engine, he did so. Well, after a few years in storage and no call for same he was generous enough to offer the engine to me at his cost, and even allowed me to make payments! This was back in early September [see: The Big News]. 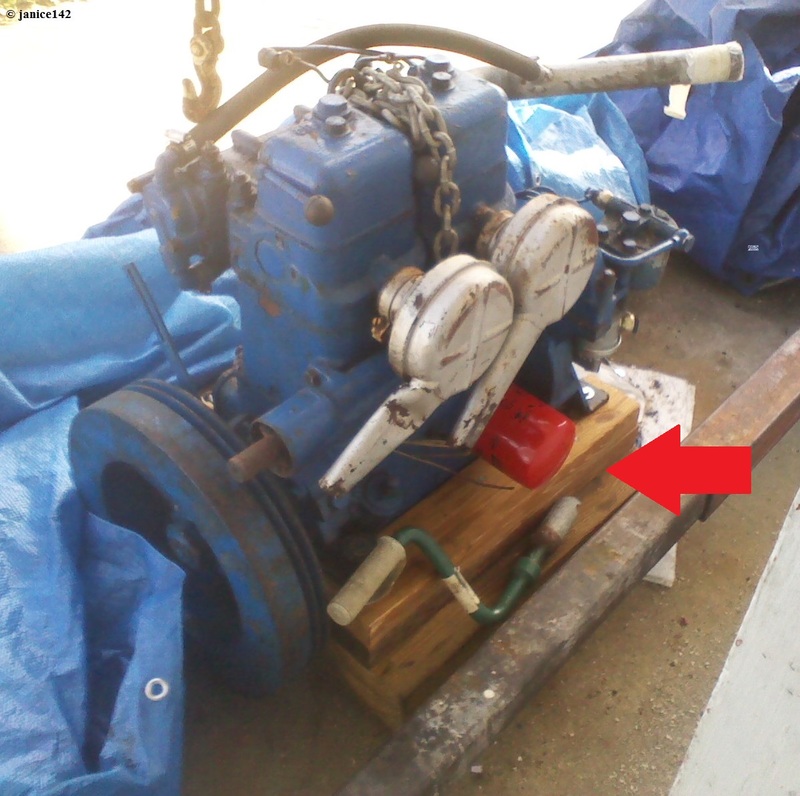 In late October the engine arrived in Carrabelle. Port side of engine. Starboard view on pallet. Everything on or pertaining to a boat takes longer than anticipated. That's a given. Then came the engine tear down/rebuild. Of course any engine sitting for a time (years!) is going to have some issues and there were more than a few. Fortunately I'd chosen Just Right Marine [http://justrightmarine.com]. Parts acquisition for old Volvo's is generally fairly straight forward, at least with relatively new engines. This Volvo however is not new -- not by a long shot! Items were ordered the week of 9 December 2013. There were a couple of Volvo brand items that were not in stock and the company quickly notified me of same. The following Monday (16 December 2013) everything was shipped via UPS Air Freight. On Wednesday I stopped into Jerry's place to let him know the parts were on their way. Wow! I know for certain Volvo parts are not cheap. That's one thing you'll always hear about a Volvo: expensive parts. Still, when you've got an old engine having the parts available counts for something. And no one questions Volvo durability. So, the following day Steve (a mechanic who works for Just Right) put everything back together -- the new fuel pump is installed, rings, gaskets, and more. It was a big job and now my engine is looking better and better! With the Transmission removed. Fuel filter installed. Note the size of the fly-wheel on this engine. It's 14" with a 46 3/8" diameter. That's big! Fortunately a friend was able to locate the parts and repair manual for this gem. Additionally, he had it printed on heavy duty paper for me with a spiral binding. That's made the project easier for the mechanics and will enable me to trouble shoot when problems occur in the future. Having shop manuals for all your equipment will save you a ton of money. Even if you don't do the work having the exploded parts diagrams are useful. Putting the engine back together with all the pieces was a full day job. Fuel Pump and red engine mounted filter. Yes, there will be a Racor too installed too. The new fuel lines. 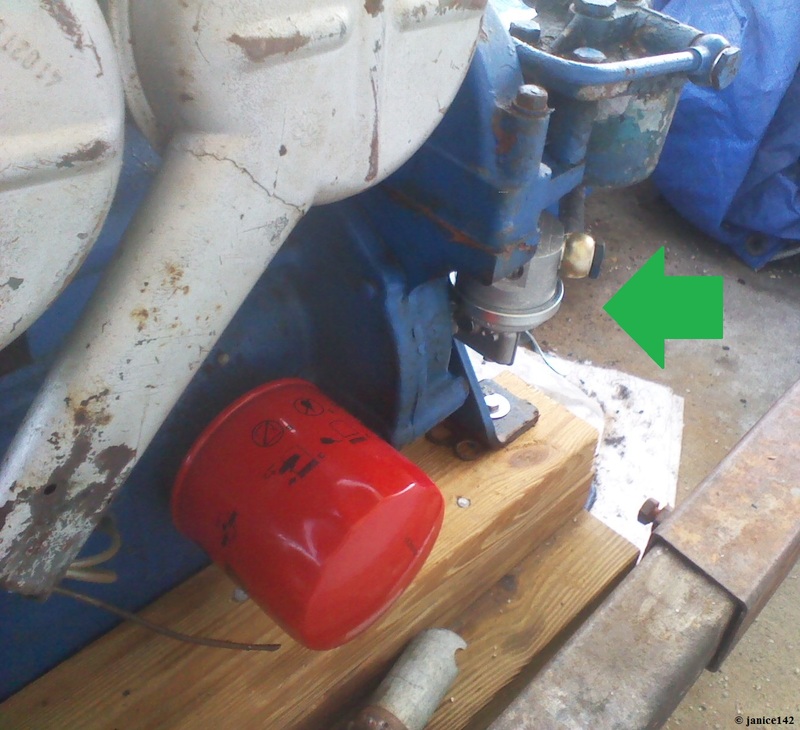 Engine crank -- for auxiliary starting. 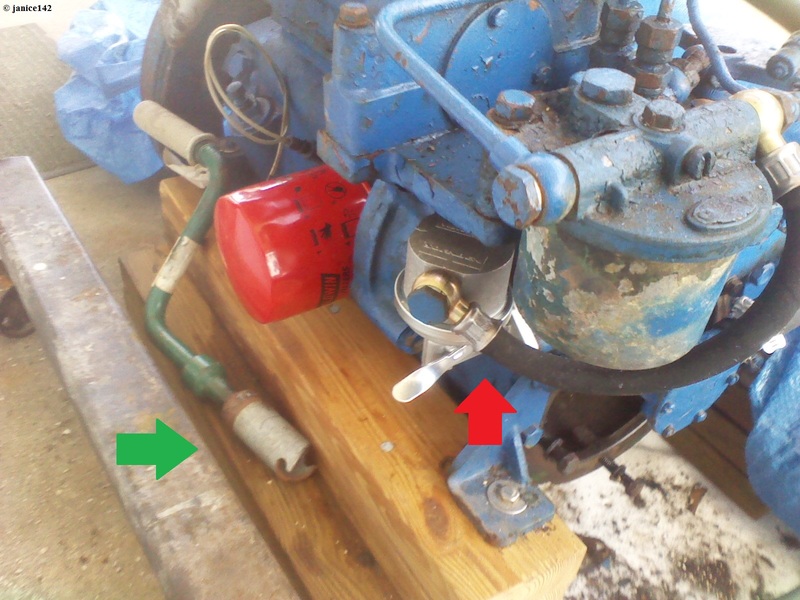 Yes, Jerry has located a starter-generator for the engine. I won't be cranking it! And no, it won't be the $2100 wanted for a genuine Volvo part. Just Right has a great network of suppliers and I'm definitely benefiting from same. We're talking 1/4th the cost so I'm quite pleased about that. Anyway, that's my news from the Carrabelle River. Progress is being made and soon enough I'll be coming into Jerry's dock for the actual engine swap. Life is good afloat. And it will be much better with a sweet little diesel engine in my Seaweed. Can't wait! Given a choice, what type (brand) diesel would you chose for your boat? What engine do you have now? A favorite aphorism: He is a wise man who does not grieve for the things which he has not, but rejoices for those which he has. Epictetus.